Highly desirable corner end unit with sun drenched South Western exposure. 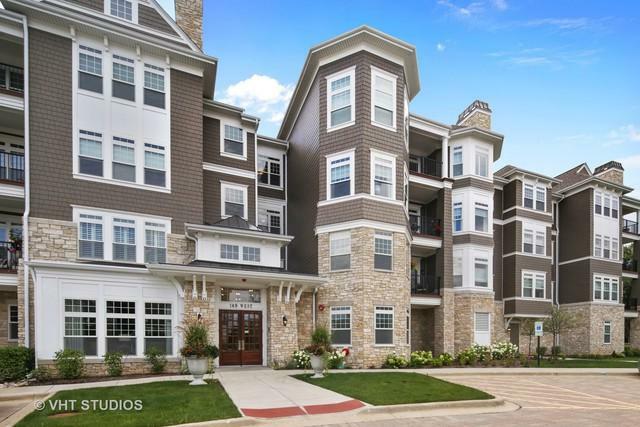 This prestigious Hamptons of Hinsdale unit offers over $30,000 in upgrades! 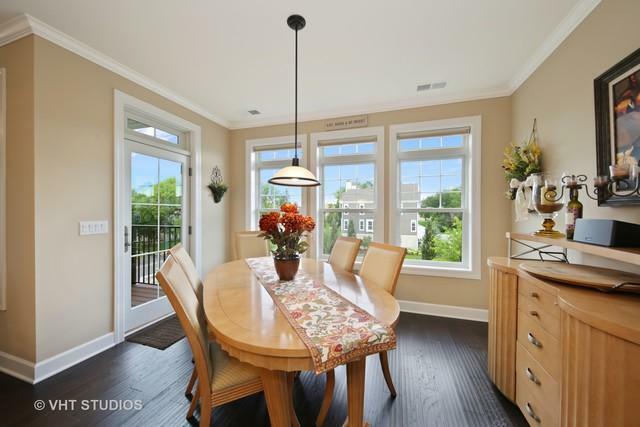 Well appointed kitchen w/ custom premium finish soft close cabinetry, granite tops, island w/seating, recessed lighting and stainless appliances, Breakfast room with access to balcony.Fabulous oversized windows in living room dining room combo, remote start gas fireplace w/marble surround. Master suite has large walk-in closet w/extensive California closet system. Second en suite bedroom and walk-in closet. 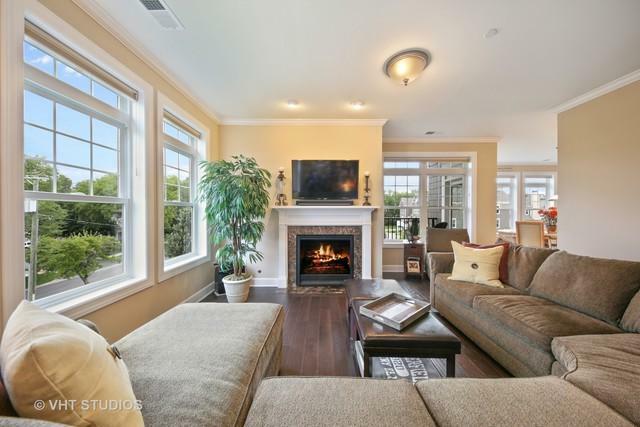 5 inch plank hardwood floors & crown molding throughout. Custom window treatments, nice size laundry room with cabinetry. 1 car heated garage space #12 with one of the largest storage unit. Great party room with fireplace and kitchenette located off lobby. 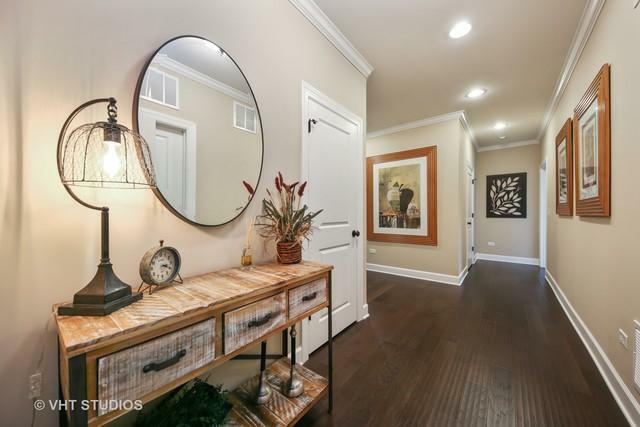 Hinsdale schools, walk to Elm, steps to Central!